If you're a single heterosexual male with nothing to do on Valentine's Day, you can always go to the movies and pretend that Yuliya Snigir is your girlfriend. The Russian Chess Master and English teacher turned model is set to turn heads in the action sequel A Good Day to Die Hard, arriving in theaters on February 14th. 20th Century Fox must be proud of her work, as she is being used in quite a bit of the film's promotional materials. 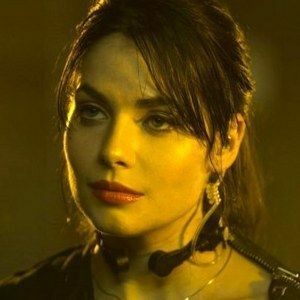 Today, we have a number of new photos of Yuliya as she makes her American debut alongside franchise star Bruce Willis and newcomer Jai Courtney, playing John McClane's son Jack. Check out the trio in action.